Precisions slitting from 24ga through 10ga. 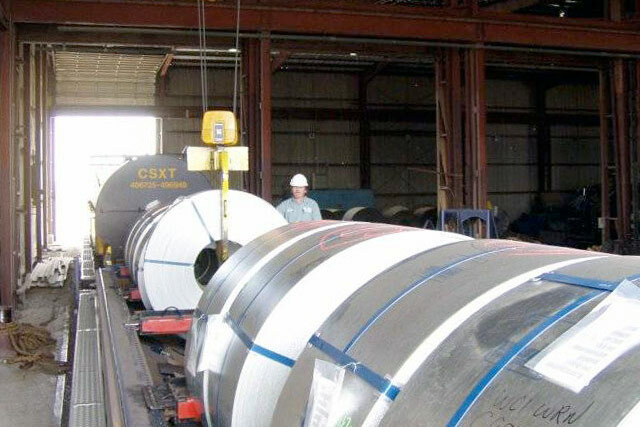 We can slit mults as narrow as .750"
Tomsin Steel Processing is a flat-rolled steel service center located on Presidents' Island in Memphis, TN. 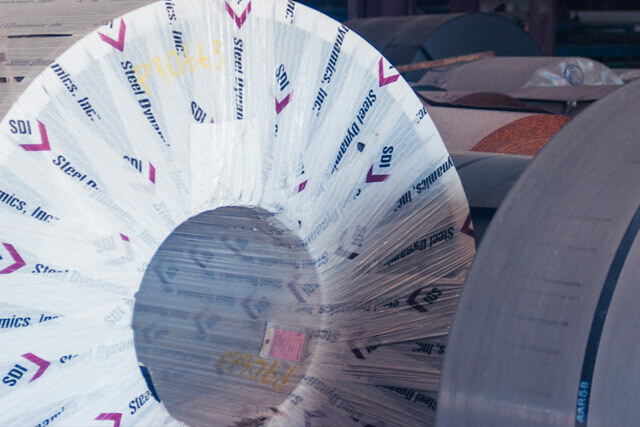 Our 60,000 square foot warehouse is situated on 6.25 acres with rail service and four overhead cranes, allowing us to unload 25 ton coils. 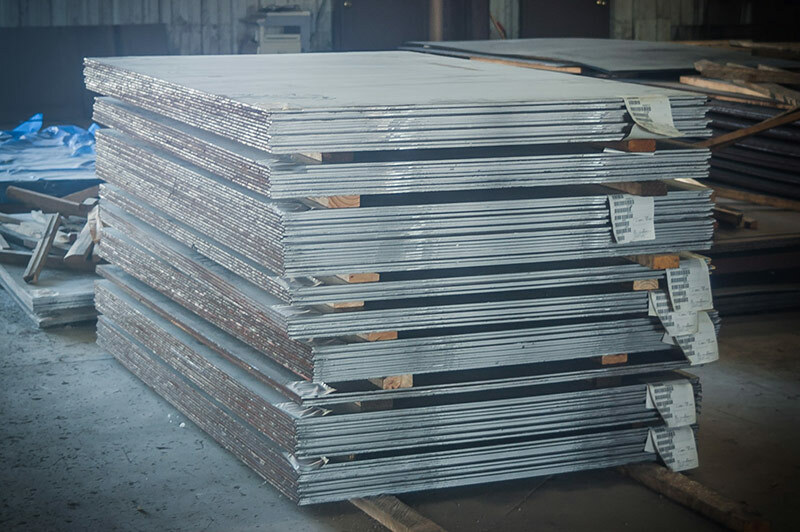 We carry an extensive inventory of HR, HRP&0, CR and Galvanized sheet, plate, and coil purchased from a variety of domestic mills. 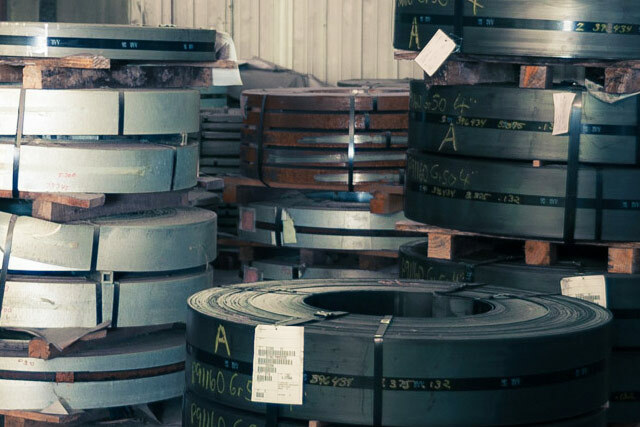 In addition to our steel processing capabilities, we also sell steel for bulk purchasing or export. Please contact us for specific lists of available items. 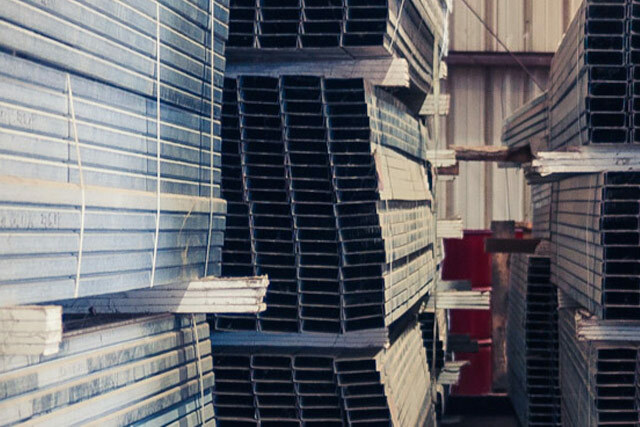 Our service center is centrally located at the intersections of I-40, I-55, and I22 allowing for economical transportation via truck to a large portion of the USA. 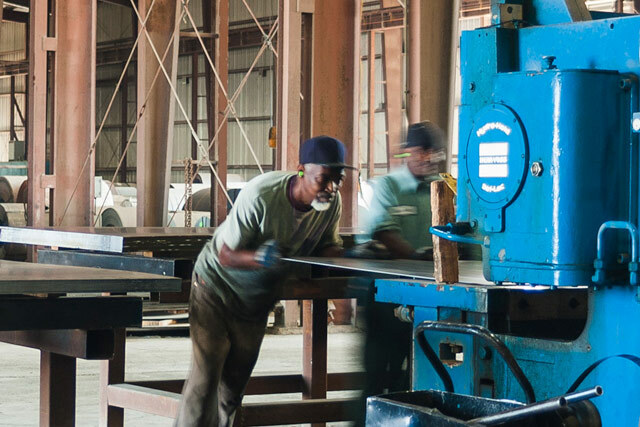 Our Presidents Island location on the Mississippi River allows for easy access to barge and rail shipments. Ned Speer, with 35 years of steel industry experience, heads our Birmingham office. Ned specializes in purchasing and mill relations. He can be reached at 205 423 9589.